Is red your favorite color? If so, then does Frontier Records have a treat for you. 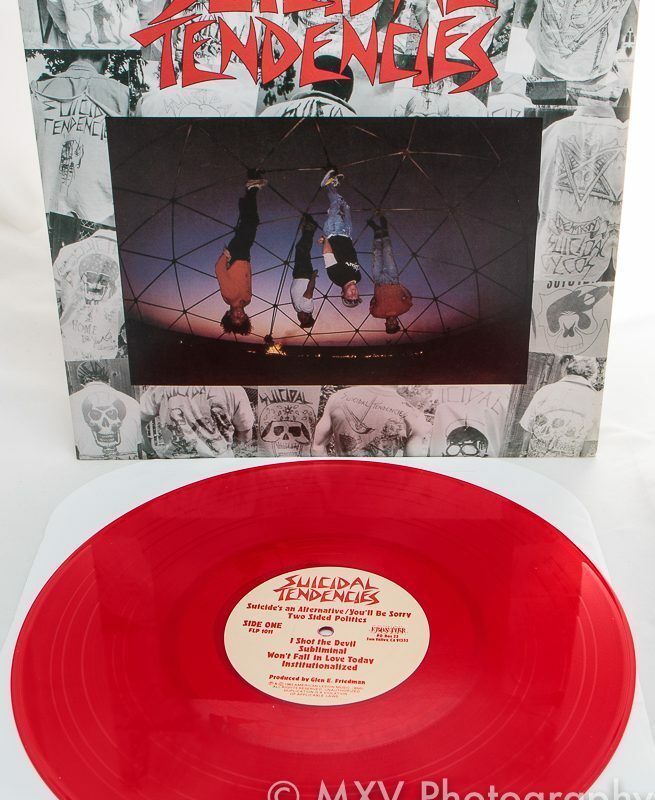 They recently released a punk rock classic and a recent album from an old punk band on beautiful red vinyl and boy do they look sharp! We will start with the classic one first. 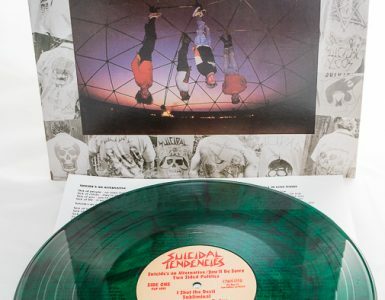 The legendary Suicidal Tendencies début album in now available for a limited time on translucent red vinyl. This one matches the cover art beautifully. It comes with a lyric sheet too and of course it sounds every bit as good, if not better, than it always has. This album ages better than fine wine. Truly one of the greats. The recent is from a band that dates back to the old punk rock days, 45 Grave. 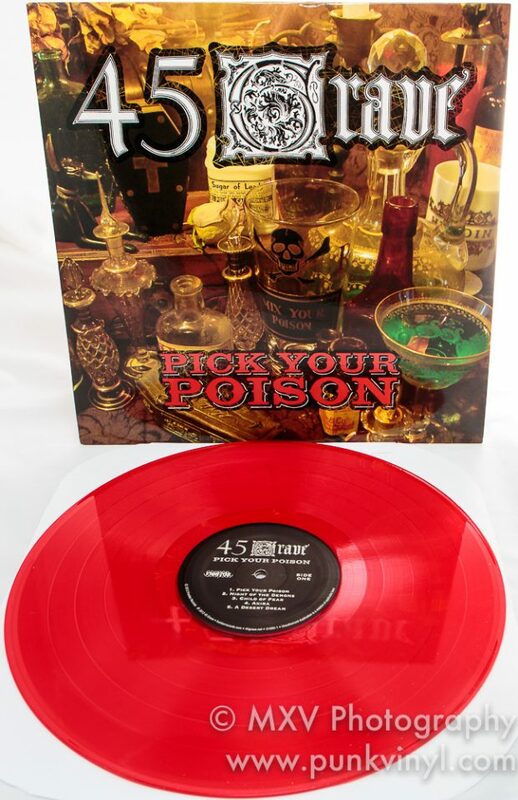 After close to 30 years since their last studio album was released, Dinah Cancer reformed the band with a new cast of characters, including an Agnew, to continue the legacy that she’s kept alive with live performances but hadn’t put out any records until 2012 when the band released, Pick Your Poison. It is a fantastic album that adds to the band’s already great (though small) discography. It was originally released on yellow vinyl but those have been gone for quite some time. 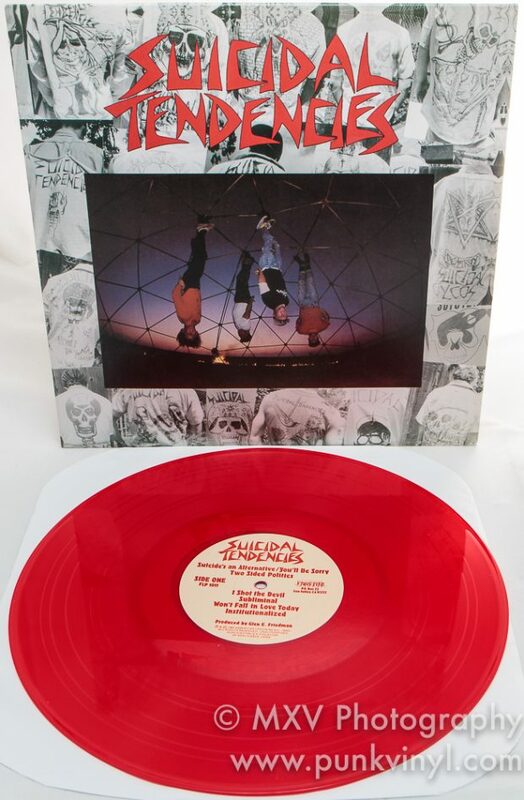 It is now back on very limited red vinyl. I believe only around 200 were made. Both of these punk rock gems deserve to be in every record collection and should be at most good record stores that stock vinyl (really which ones don’t these days?). 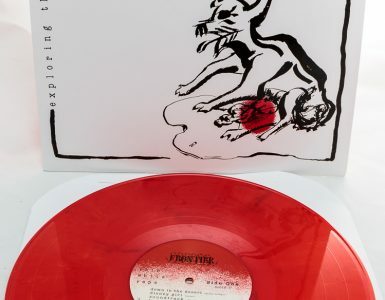 If for some reason you don’t live near one, don’t fret, simply click on over to the Frontier Records website and have one sent to your door. 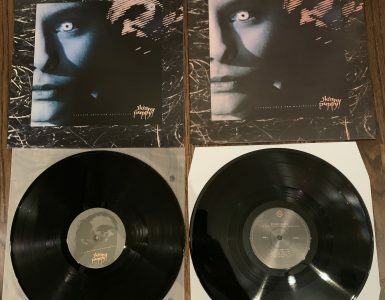 If you are like me and living in the midwest where it currently is the dead of winter, this option makes it so you don’t have to venture out in the frigid cold and snow to get your vinyl fix. Don’t wait too long though, these won’t be around forever.